Bugatti is celebrating its historic 110th anniversary with an ultra-exclusive 20-piece 110 ans Bugatti version of their Chiron Sport hyper car. 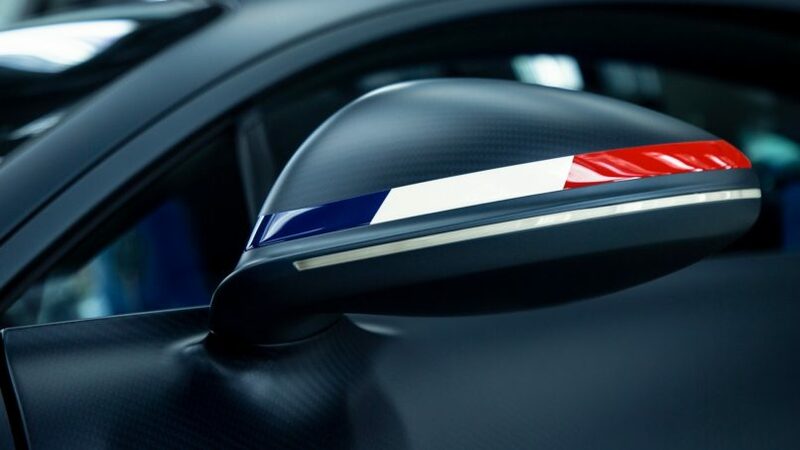 Described as a “tribute to France,” the Chiron Sport 110 ans Bugatti is defined by a slightly updated design and colour changes for its exterior and interior resembling the French national flag. After kicking off celebrations at the Retromobile 2019 in Paris, they also exhibited the iconic 1932 Bugatti Type 55 and the 1994 Bugatti EB110 Gran Turismo, an automobile relic from a generation lost in time. The French blue is an instant visual cue on this tributary voiture. The tricolour Le Bleu-Blanc-Rouge, with its blue, white, and red, decorates the body and interiors at several points and harmonises perfectly with the extraordinary Chiron Sport’s hypercar DNA. You’ll find the tri-colour detailing notably on the underside of the Chiron’s movable rear wing, rear-view mirrors and seats, as a never-been-seen-before colourway for this model. It’s evident that the treatment for this variant is inclined towards appearance rather than performance or bespoke detailing. As a Bugatti trademark, the sinister red singular taillight panel creates an incredible contrast against with the French national colours, adding to its allure. 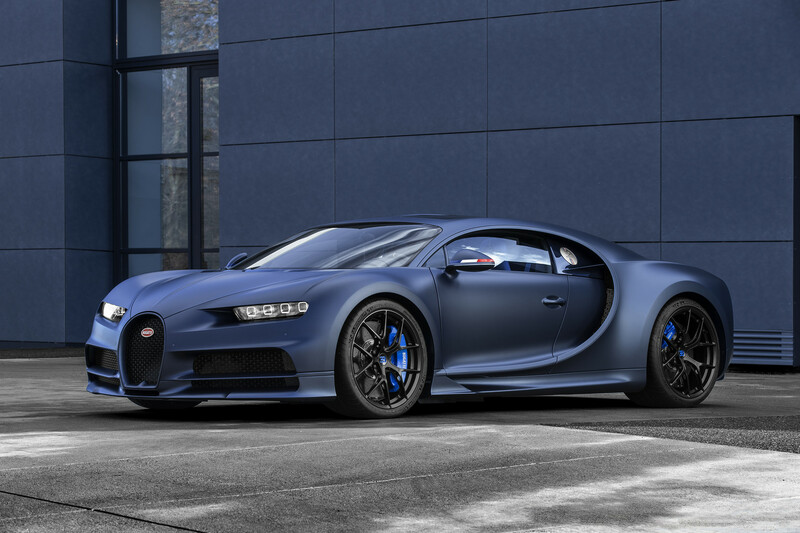 “With the limited Chiron Sport 110 ans Bugatti, Bugatti is ushering in the 110th anniversary of its foundation. At the same time, we are underlining our origin and our French roots in Molsheim. Molsheim in the Alsace region of France is an essential element in Bugatti’s brand history and this is also where we are planning our future,” says Stephan Winkelmann, President of Bugatti Automobiles S.A.S. 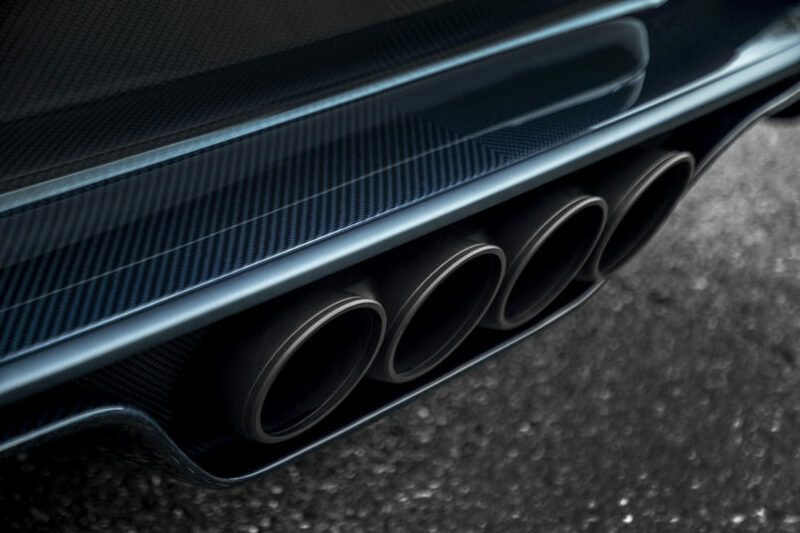 Furthermore, a subtle two-tone colour scheme drapes the special edition vehicle with ‘Steel Blue’ matte paint at the rear and ‘Steel Blue Carbon’ for the exposed carbon fibre detail at the front. The brake calipers are also treated in a lighter blue tone, with matte black wheels completing the main exterior revisions. 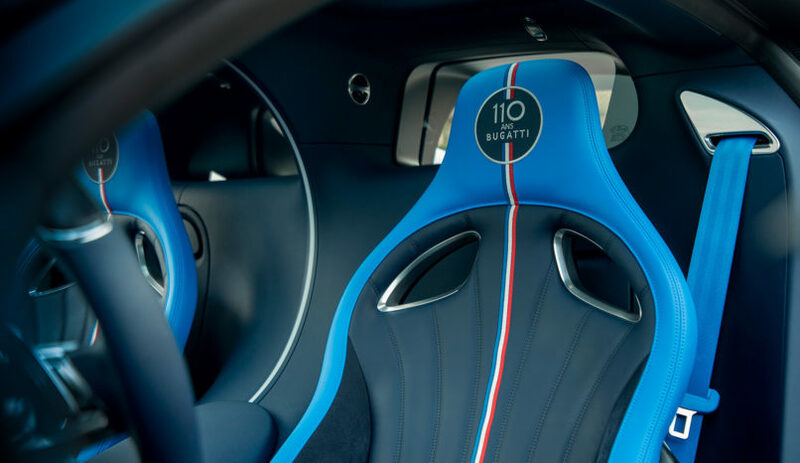 Inside, the car has been detailed with the distinct tricolour stripes on its headrests and backrests of the Alcantara seats to further reference its historic French roots. 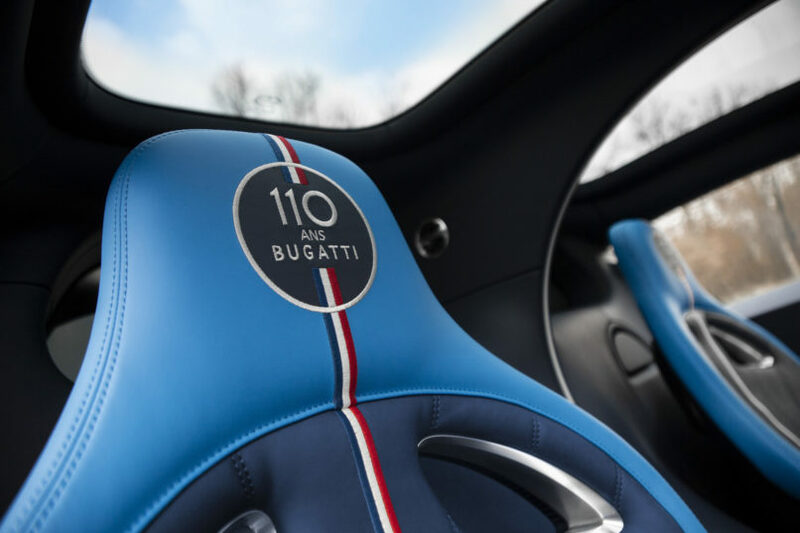 ‘110 Ans Bugatti’ has been embroidered onto the headrests and panelled onto the dashboard which is purely hand-carved. Engine specs remain standard, nearly 1500 HP that can sprint upto 249 mph in just 32 seconds. We wouldn’t expect anything lesser from a quad-turbocharged W18, especially when you pull 0-60mph in 2.4 seconds. 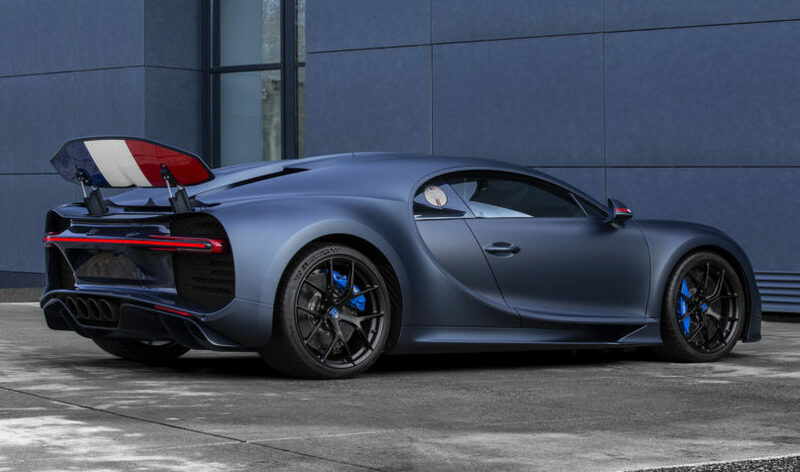 The Bugatti Sport 110 ans Bugatti is limited to just 20 builds. And while the standard Chiron Sport currently plates in at US$ 3.26 million, we’d expect the new launch to go north by at-least another million considering the exclusivity it comes with.